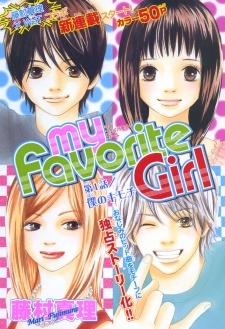 Hayato works at a restaurant and has a crush on Shouko, the other part-time worker. However, he just can't seem to find a good way to confess his feelings, especially after finding out that Shouko's previous boyfriend passed away in an accident. It's around this time that a construction worker/moonlighting magician named Kai wanders into their restaurant. Hayato quickly becomes friends with him, but why does Shouko seem so surprised when she sees him? This is a collaboration between mangaka Fujimura Mari and the J-pop band WaT featuring Wentz Eiji and Koike Teppei.